Entrepreneurship is more popular than ever, and in this article we would like to introduce you to two podcasts that look at both ends of the spectrum: the venture-backed startups and the hustle-till-you-make-it startups. There are lessons to be taken from both types of startups that will not just help you if you are interested in starting a business, but also even in your progress in a given career. This highly-produced podcast is hosted by Reid Hoffman, founder of LinkedIn and member of the highly successful Paypal alumni that are known as the "paypal mafia" in Silicon Valley. He's now a member of the VC firm Greylock Partners, and trades on his status and relationships to bring subjects for his interviews that almost never interview elsewhere. He started with Brian Chesky of Airbnb fame, and then went on to also bag Mark Zuckerberg (who almost never does podcast interviews) and Google's Eric Schmidt. Reid's style and questions so inspired uber-podcaster Tim Ferriss that he and Tim collaborated on an episode called The Ten Commandments of Startup Success that you should not miss. Gimlet Media is a venture-backed company focused entirely on creating, developing, producing, and promoting their own highly-produced podcasts. Their very first podcast, Startup, was an as-it-was-happening chronicle of their own startup. Why did Alex Blumberg, who had scored big at Planet Money and This American Life, chosen to go out on his own and start a company, much less a venture backed one? How did their families and spouses handle it? How did their pitches to VCs go? How did they even settle on the name "Gimlet"? 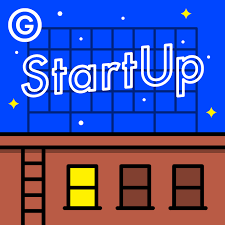 While Season 1 of Startup focused entirely on Gimlet, Seasons 2-5 (Season 6 just began) went out into the world to hear the startup stories of all kinds of companies. For example, you get to hear the story of the rise and fall of American Apparel not just from Dov Charney, the founder himself, but employees and vendors that surrounded him. You can start here, with Episode 4 of season 4 (that mini-series goes through episode 10 of that season). There's also the hilarious and astonishing story of Pirate Joe's, a storefront in Canada that sold Trader Joe's products. Trader Joe's doesn't exist in Canada and the protagonist would make regular runs across the border to buy items to bring back to the US's northern neighbor. Have some podcasts to suggest to us or that you would like us to write about? Do so in the comments to receive a free 7-course hair service to share with someone who has never experienced the quality of the brand we're building at The Gents Place.